Many of my bread recipes contain dough enhancer. Yet in many places in the country it is impossible to find. If you have never heard of dough enhancer and are thinking "why do I even want dough enhancer?" The answer is dough enhancer makes wheat bread, light and wonderful. Your loafs will rise higher and your bread will be more delicious. If you are wondering "How do I make my own dough enhancer" then you have come to the right place. Note: When I use this dough enhancer I also often add one egg (1 Tablespoon egg powder plus 2 tablespoons water) but you don't have to. There are are several dough enhancer recipes floating around. Most include vinegar. I personally don't like using vinegar as a dough enhancer. So you might notice that my recipe does not include vinegar. This awesome recipe came from my awesome sister in law Christi. Thanks for sharing! Mix well. Store in a cool dry place. 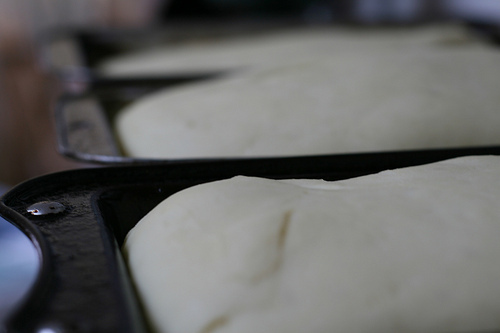 To use: Add DIY dough enhancer to bread dough at the same time you add the flour. If the bread recipe does not state how much dough enhancer to use a good rule of thumb is to add 1 tablespoon DIY dough enhancer for every 3 cup of flour in the recipe. What are other people saying about dough enhancer?